As a busy human being (working parent and all aside) there have been more than a few times I’ve realized mid-washing-dishes-mode that I needed a scrubber brush but couldn’t find one. Have you ever found yourself in this pinch? Well, here’s an easy kitchen trick for you that will help you polish those hard to scrub dishes in no-time! 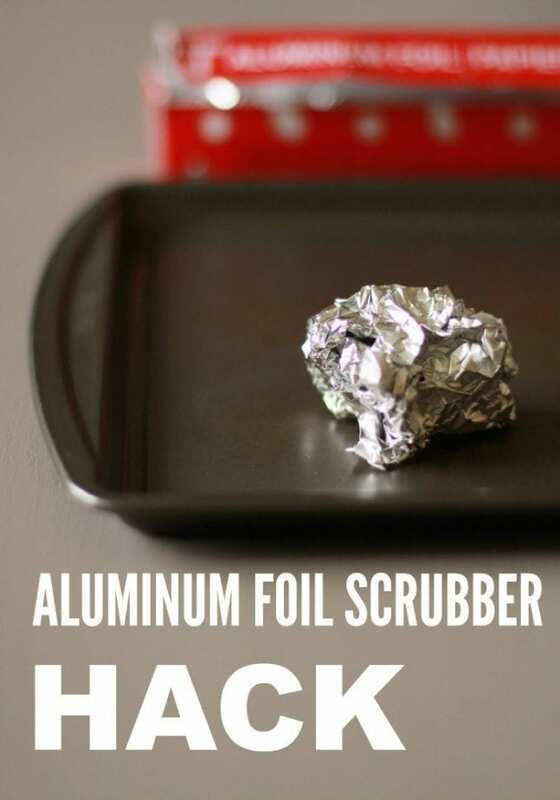 Make this Aluminum Foil Scrubber Hack! 1. 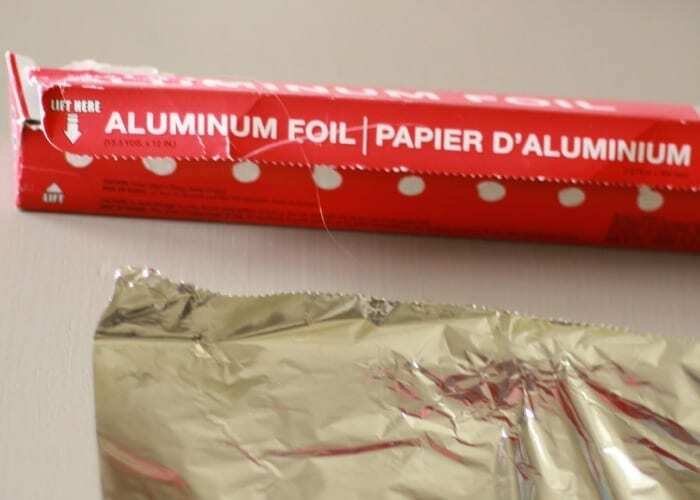 Tear off a fairly large piece of Aluminum foil. 2. 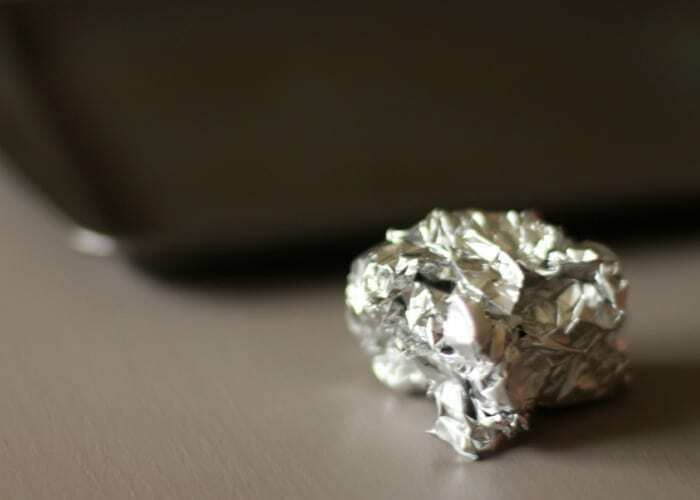 Crumble the foil in your hand until you form a ball-shape. But, you should not crumble the foil too tightly. You want to the edges to be sharper and rough so they do a goo job scrubbing away the dirty pans! 3. 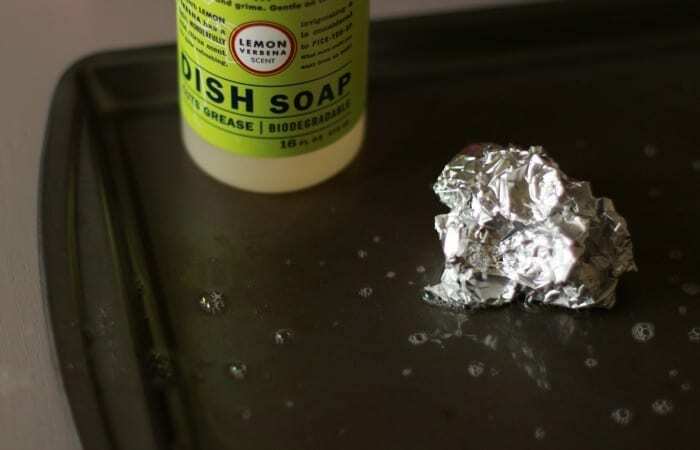 Scrub your pans with the Aluminum Foil Scrubber Hack you just made! This is such a simple, cheap and effective way to clean dishes in a pinch!